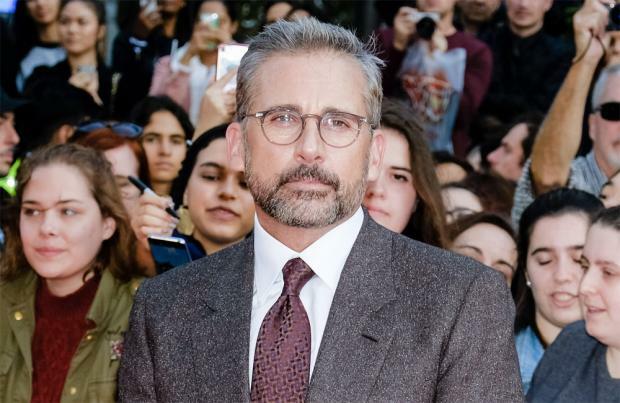 Steve Carell loved working with Timothee Chalamet on 'Beautiful Boy' and has described him as a "special young man". The 56-year-old actor and his 22-year-old co-star play a drug-addicted son and his long-suffering journalist father in the new movie, which is based on the memoir of David Sheff, entitled 'Beautiful Boy: A Father's Journey Through His Son's Addiction' and Carell was very impressed with Chalamet's acting talents. Speaking to BANG Showbiz at the 62nd BFI London Film Festival, Carell said: "I think it was helpful, and it was helpful that we got along and cared about one another. He's a really special young man, he's smart and he's funny and obviously really talented but we connected almost instantly from his first audition and it was nice. I think there was a really nice sense of trust between us." The 'Big Short' actor confessed that playing "real-life" character Sheff brought with it a set of unique challenges because there is an "obligation to get it right". He added:" There's a responsibility, I think, when you're playing somebody who is a real person and trying to do justice to a story, it's a very intimate story and I think Timothee and I both felt an obligation to get it as right as we could." Timothee – who portrays drug addict Nic Sheff – previously revealed that he felt "protected" by Carell because he felt like he already knew him from being a fan of his films over the years.